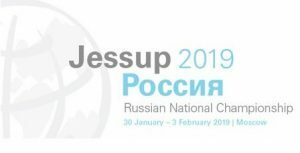 White & Case LLC and Threefold Legal Advisors LLC are organising the Russian National Championship of the Philip C. Jessup International Law Moot Court Competition. Students from 30 universities from all over Russia will come to Moscow to participate in the Competition. Partners and lawyers from international law firms and major Russian companies, judges of the UN International Court of Justice, European Court of Human Rights, International Criminal Court and other international tribunals, as well as professors from leading Russian and foreign universities will be assessing students’ legal knowledge and oral skills. This year’s problem addresses the appropriation of traditional knowledge for commercial purposes, state responsibility for corporate environmental degradation and human rights violations, and majestic herds of migratory yaks. – Paolo Davide Farah, Public Administration and International Law Professor at West Virginia University, Founder and Director of gLAWcal research organisation (UK).